Freedom of expression campaigners Index on Censorship and the producers of award-winning documentary They Will Have To Kill Us First are pleased to announce the Burkinabe rapper and producer Serge Martin Bambara (aka Smockey) as the recipient of the inaugural Music in Exile Fund Fellowship. An icon of democracy in Burkina Faso, Smockey is an artist, music producer and political activist who fuses hip-hop with traditional local sounds and satire. 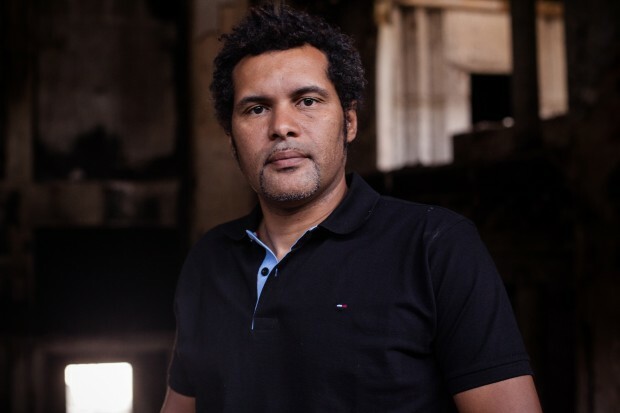 His acclaimed Studio Abazon was fire-bombed in late 2015 in retaliation for his role in the ending of the 27-year tenure of former President Blaise Compaoré. As winner, Smockey will perform live in London as well as participate in the Index on Censorship Freedom of Expression Awards fellowship week in April 2016 – an intensive week of coaching and networking for global champions against censorship. With high level training in advocacy, fundraising and digital security, Index supports these activists to stand up to the pressure of censorship and continue their battle for free expression around the world. “Serge Bambara’s overtly political music has not only made him an extremely popular figure in his own country, Burkina Faso, but also a target for entrenched interests. Throughout his career he has used his talents to battle corruption and demand a democratic future for Burkina Faso. Proof of the power of art and music, we are delighted to have him as the inaugural Music in Exile fellow,” said Jodie Ginsberg, CEO, Index on Censorship. “Not everyone is lucky enough to have a microphone in front of them, so if you have the chance to talk, you have to say something important and try and change humanity,” Serge Bambara said. Smockey’s work tackles tough political and social subjects. His song Votez pour moi lampoons the lack of democracy in Burkina Faso, A qui profite le crime calls out government corruption and Tomber la lame tackles female genital mutilation. In September 2015, Smockey’s studio was bombed during a military coup by forces loyal to the former president – an act designed to intimidate him and Burkina’s youth. After seven days of international pressure, the junta returned power to the provisional government but Studio Abazon, a former hub for young and aspiring musicians in Burkina Faso, was damaged beyond repair. Index on Censorship stands behind Smockey and hopes that the inaugural Music in Exile Fellowship can help him continue to encourage and enthuse young Burkinabes with his music. Donations to the Music in Exile Fund can be made HERE. A full profile about Smockey and his music can be read HERE. The Music in Exile Fund was launched in October 2015 by freedom of expression campaigners Index on Censorship and the producers of award-winning documentary They Will Have To Kill Us First to help support musicians facing censorship in their home countries. The fund contributes to Index on Censorship’s year-long Freedom of Expression Awards Fellowship programme, helping musicians to build international profile and to create, perform and share their work in a safe environment. The fund operates under the banner of Index’s Freedom of Expression Awards, which take place in April. This year there will be a specific music category. The funds raised will support a musician or group through a year-long mentorship scheme helping them to tackle and overcome free expression challenges for them and their audiences. Legal support, career development, training in advocacy and fundraising, networking and digital security are all part of this mentorship scheme. The film, called “essential viewing” (Dazed & Confused) and “rare and inspiring” (The Times) follows musicians in Mali after its capture by jihadist militants in 2012. Music, one of the country’s most important forms of communication, disappeared overnight. Radio stations were destroyed, instruments burned and musicians faced torture, even death. But rather than lay down their instruments, Mali’s musicians fought back. The film is currently premiering in the United States. Details about screenings can be found HERE.